Hot off the presses! The “Chicks Rule” issue of Garage Magazine (out now!) 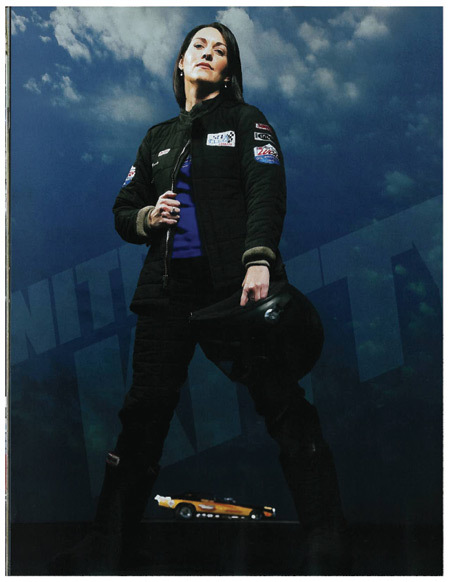 features an eight-page spread on Prostalgia Nitro Funny Car coquette “Nitro Kitty” Mendy Fry. 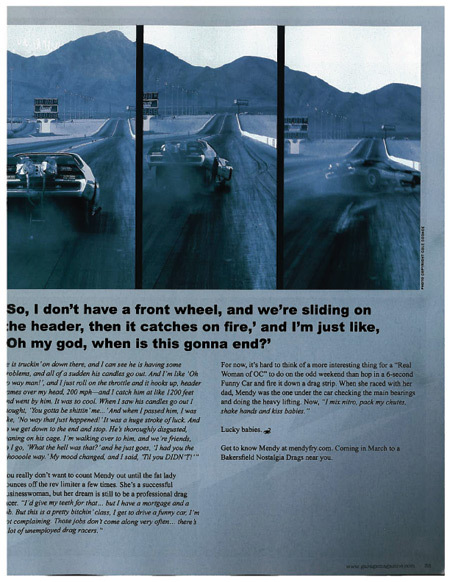 The detailed article chronicles the arc of Fry’s career — the highlights, the explosions, the wild rides, the unexpected wins and some moments best forgotten — and gives a glimpse of things to come as Fry enters the 2010 NHRA Heritage Series Tournament at the helm of Gary Messenger and Donnie Couch’s West Coast Funny Car Factory Nitro Kitty Charger. 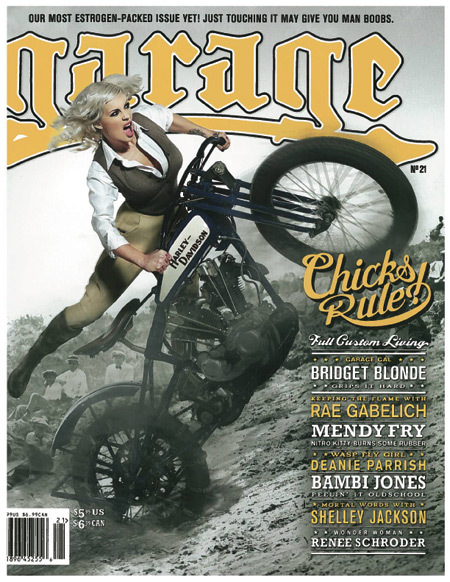 Besides the story on Mendy (penned by John Burns, and illustrated by Tim Sutton’s stellar photography), the new Garage is rife with estrogen-addled bios on burlesque queens, vampish tattoo artists and a woman wing-walker!